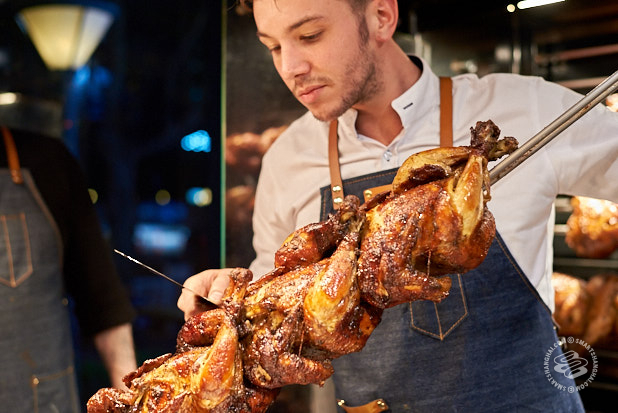 Three interesting new venues now open in Shanghai: Free-range rotisserie chicken; experiemental desserts; and a New York classic. A nice start to 2017! Here's not one, not two, but three new venues we're excited about. 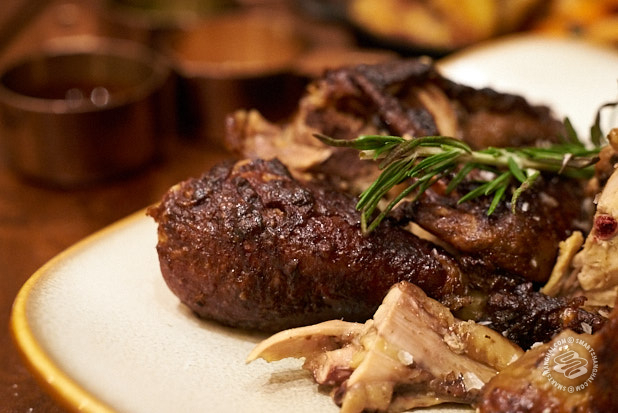 Quick Take: A charming French free-range rotisserie chicken restaurant for take out and dine in. What it is: According to owner Hugo and his partners, Dodu means "plump" in French -- typically used to describe birds and cute kids and never women. Here, it's being used in the first way. 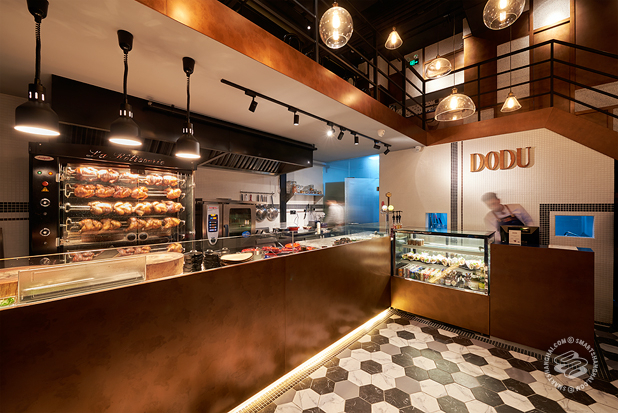 Dodu is a fast casual restaurant, serving French-style rotisserie chicken. The birds they get are free range and of a French variety, which comes from a top-secret farm nearby Shanghai. That means the chickens get extra leg room, healthier diets, and longer lifespans, which translates in taste and size. These birds are around 1.8kg each -- larger than your average rotisserie chicken in Shanghai. The rotisserie sports several racks and they rotate the racks from bottom to top to make sure that the birds get an even dripping of juice from the ones above. The price for a whole chicken is 198rmb, not including sides -- for that, it's another 70rmb in a set menu, then they give you loads. 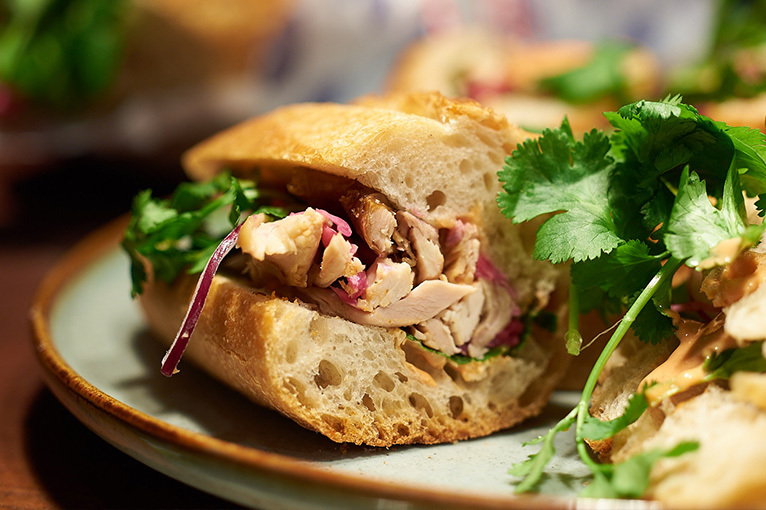 You can also get chicken in halves and quarter options with several sauces or in a sandwich. Sides include roasted potatoes, green beans, sauteed cauliflower, and more. For drinks, they've got Vedett and Maredsous on draft for 42rmb, plus bottled beers and pear cider. There's a small upstairs seating area and in total it fits about 20 people, but most patrons are going to be ordering takeout. First Impressions: The place already looks like it's going to be a success. While we were there, there were locals stopping to salivate by the window every few minutes after trying to get in because the restaurant hadn't opened yet, and later we saw several F&B insiders stopping by to check the place out. However, the birds aren't cheap -- whether you're in it for humanitarian reasons or your palate, that free range breeding comes at a premium. But you do get what you pay for: a damn good rotisserie chicken. Quick Take:Farine is an artisinal bakery by Franck Pecol, he of Franck fame. 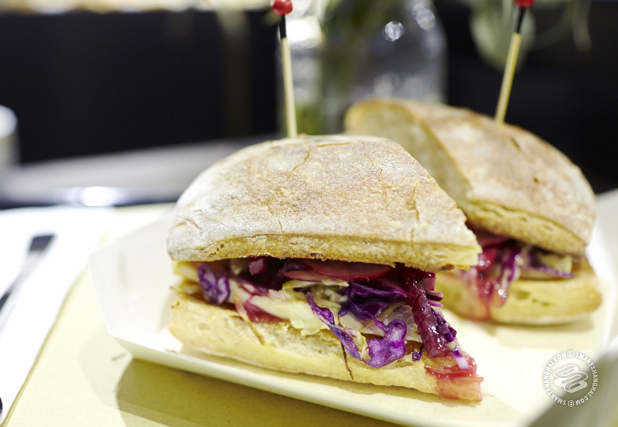 Farine LAB, then, is the site where they concoct their latest creations. It's an artisinal bakery squared. What it is: Kind of an odd beast. 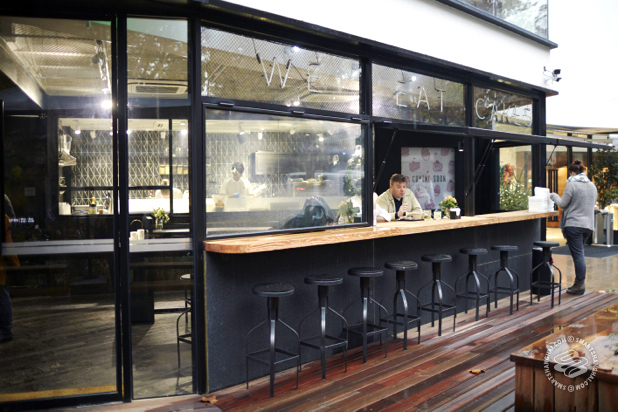 On the surface, it looks like a regular Farine attached to the Creater Space on Huashan Lu, and indeed it is selling coffee, as well as freshly baked pastries and sandwiches. The new bit is the “LAB” in the name. 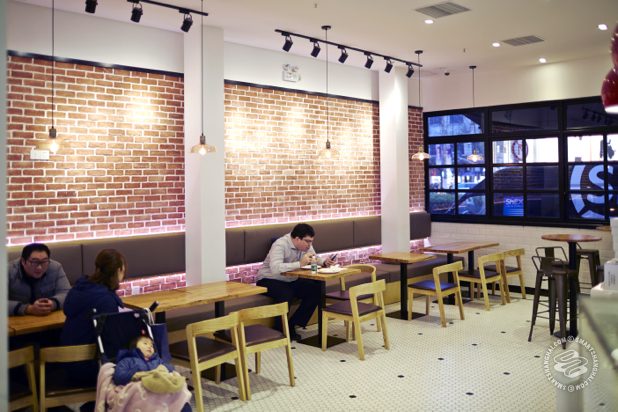 Franck Pecol’s brainchild, this is supposed to be a place where they can experiment with new recipes, formulas and whatever else they think might interest the ravenous but taste-conscious breakfast and lunch hordes of Shanghai. If it works here, they can roll it out to the other locations. They’ve got a big glass window set in the back wall so you can watch the chefs at work creating new and exciting (for pastry) things. Price-wise you're looking at 20rmb-ish to 50rmb-ish for sandwiches and pastries and between 33-48rmb on the coffee. Anyways, it's a Farine but with the potential for a surprise item or two to pop up on the menu. Since they’re still in the process of defining what they’re doing here, they’ve been keeping it low-key. It’s been three months and they’re still in an ongoing state of experimentation. The sure thing is that they’re working on their cakes and dessert offerings, and sandwich lunch options that are set to "evolve regularly." First Impressions: They're catering to an upmarket demographic who are looking for good ingredients and some quality assurance from a big name. And sure enough, it’s pretty good. We’ll let you know when we’ve tried the cake. Nice to always be coming across something unexpected too. 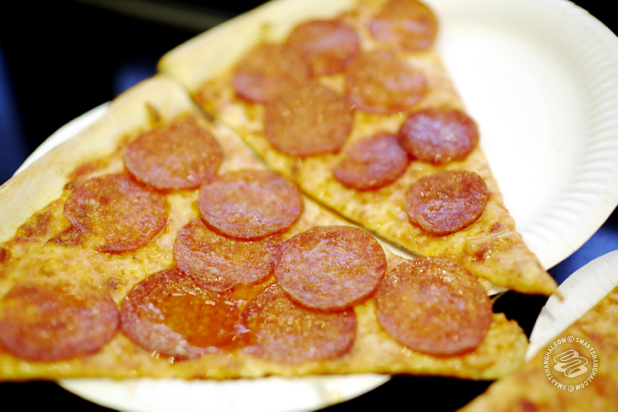 Quick Take: Joe's Pizza is a no-frills, by-the-slice pizza joint selling New York style pizza on paper plates. It’s in super soft open mode (today is day 3), but it’s already causing a bit of a stir because it's the Shanghai expansion of a famous New York pizza place of the same name that's been slinging very tasty pizza in that city since 1975. The verdict from the New Yorkers we've asked: The Shanghai Joe's Pizza is legit. 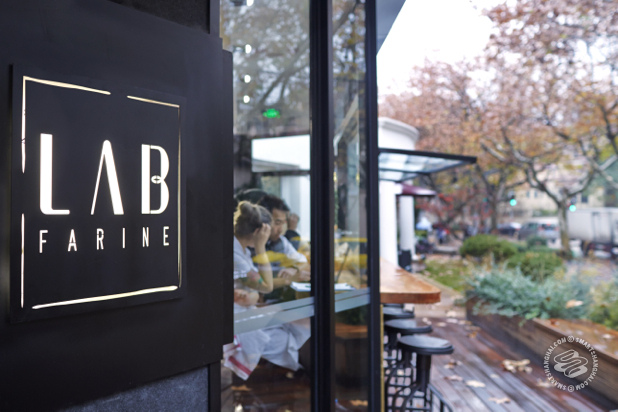 What it is: Set up on Wujiang Lu (right by West Nanjing Road metro station), down the road from naked Hub, the format is simple: you walk in; you point at one of the freshly-made pizzas under the glass display; and you get a pizza slice or two. Maybe three. They’re big slices; 20-inch under the glass, and 18-inch pies (I hear that’s New-Yorkish for “pizza”) for take-away, probably because a 20-inch box won’t fit through your door. 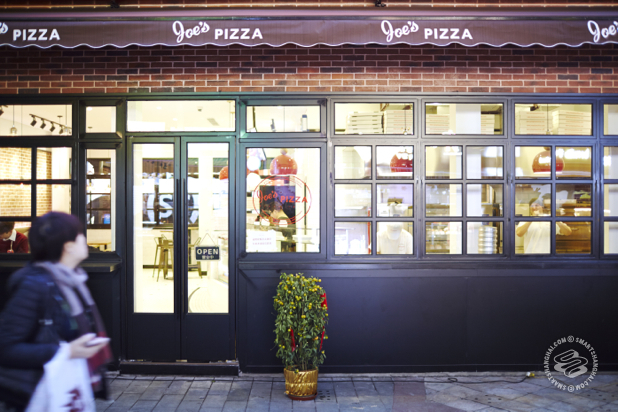 The story of the original Joe’s Pizza is a heart-warmingly folksy tale of a man named Joe in Greenwich Village, NY, who loved making huge pizzas and selling them by the slice on paper plates. We’re talking the most stereotypically New York B-roll there is, like a yelling taxi driver and that cowboy guy on Time’s Square. This is only the fourth Joe’s location and the first outside New York. Carmine Street, East 14th Street, Bedford Avenue, Wujiang Lu. The ambitious leap is reportedly the brainchild of Joe Jr., son of original Joe, Joe Sr. The guy in charge of the pizzas here in Shanghai is Maya, who trained under Joe Sr., and is, judging by the amount of flour on his hands, apron and hat when I stopped by, pretty serious about pizza. Menu’s pretty sparse for now. Two pizzas of the intended 6-7 available right now, pepperoni (27rmb per slice) and margarita (22rmb per slice) and some desserts. They’ve got Goose Island on tap with Blue Point Lager coming in later. Proper opening is probably some time in mid-February. First Impressions: It’s pretty good pizza, man. The crust is just the right kind of crunchy, with enough cheese to provide taste but not enough to become top-heavy, chewy and heave off onto the plate like melted wax. The sauce was a little sweet for my taste but it was tasty. When I went the day after they opened, the pepperoni was oily. Just a sea of delicious, fresh, juicy oil, mostly because they had to hand-slice the “roni” (more New-Yorkish) that day, and they’re still breaking in the ovens. The oil won’t stick around. Part of me is kind of unhappy about that.